In a masterful display, the Giants easily dispatched their fierce rivals, claiming a 49 point victory. A week later, the Giants were competitive but lacked the class to overcome Collingwood. Former number one draft pick Lachie Whitfield capped a brilliant season by winning his first Kevin Sheedy Medal, beating co-captains Callan Ward and Phil Davis, who rounded out the top three. Following the loss to the Magpies in the semi-final, Ryan Griffen called time on his career after 257 games, 55 of them with the Giants. Original Giant Tim Mohr was delisted after 48 matches, as was Lachlan Tiziani. Armed with a strong draft hand which included three first-round selections, GWS grabbed Jye Caldwell from the Bendigo Pioneers in the TAC Cup at pick 11. A few selections later, Jackson Hately of Central Districts became a Giant, before Xavier O’Halloran joined them at selection 22. With their final selection, English-born Connor Idun was picked up from the Geelong Falcons at pick 61. After upgrading Daniel Lloyd to the senior list the Giants did not participate in the rookie draft, instead signing Irishman Callum Brown as a category B rookie. Then, in a shock to many, Greater Western Sydney signed ruck coach Shane Mumford, who retired at the conclusion of the 2017 season due to a serious foot injury. In a new rule introduced by the AFL, Mumford was able to be signed directly to the rookie list instead of selecting him in the draft. It completed a big couple of weeks for Mumford, who was fined $25,000 and suspended for two games after footage was released of him snorting white powder, dated back to 2015. Jonathon Patton was not considered for the best 22 due to an ACL injury suffered in July last year. 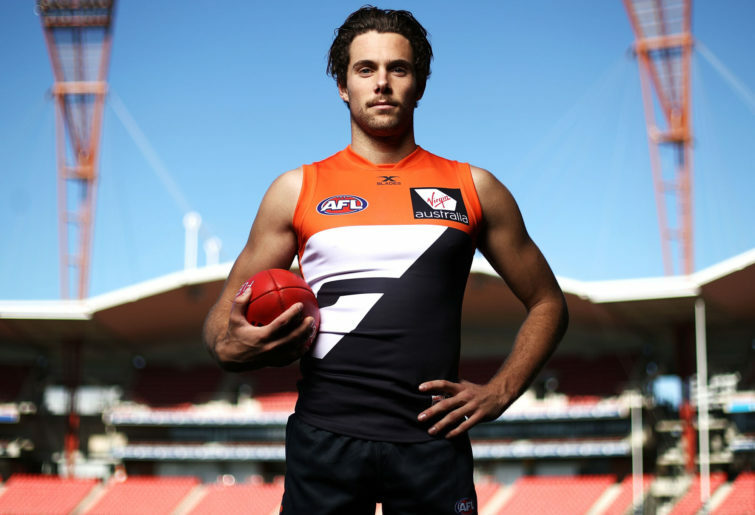 Entering the second and final year of the contract extension he signed with the Giants back in 2017 despite a Godfather offer from North Melbourne, Josh Kelly is coming off perhaps the most frustrating season of his career yet. A groin injury after Round 3 saw Kelly miss six consecutive matches, which coincided with the Giants early-season poor form. Upon his return, GWS lifted, with Kelly returning to his exquisite best. In Round 20, the star midfielder amassed 41 possessions, won 10 clearances and had 16 inside 50s in one of the most dominant individual performances of the year. Injury struck again on the eve of the finals, with Kelly missing one match due to concussion, before, in his 100th match, the 23-year-old suffered a knee injury in the Giants’ elimination final win over Sydney, forcing him out of the following week’s knock-out game against the Magpies. Greater Western Sydney will move heaven and earth to retain their star player, and his contract will be one of the major talking points of season 2019. Having decided to hang up the boots at the end of 2017 due to a navicular injury in his foot, many were surprised when Shane Mumford, who had been keeping fit as the Giants’ ruck coach last year, made a bid to return to the AFL ranks as a player. After the loss of lead ruckman Rory Lobb to Fremantle during the trade period, Mumford suddenly becomes a valuable piece in the Giants’ premiership puzzle, even at the age of 32. The 172-game veteran will miss the first two games of 2019 after a video of Mumford snorting a white powder circulated in October, but as the most experienced big man on the GWS list, he will shoulder the ruck load as much as he physically can. How much mobility and power in his legs he has lost remains to be seen. While the Giants may have enjoyed a glut of early draft picks at the start of their existence, it may be the 2017 national draft that Greater Western Sydney might look back on fondly in years to come. Selection 11 in that draft Aiden Bonar managed just the four games, but showed enough in those appearances to suggest he’ll be a handy player for the Giants as early as this year. A second-round draft pick, Brent Daniels broke through for six consecutive games late last season, impressing with his energy in the forward line. Standing at just 171cm, Daniels has great goal sense and can hit the packs with terrific pace, making him very dangerous at the feet of talls Jeremy Cameron and Harry Himmelberg. Taken one pick after Daniels, Sam Taylor showed the most amount of promise, playing eight games after a mid-season debut and slotting comfortably into the Giants’ backline. 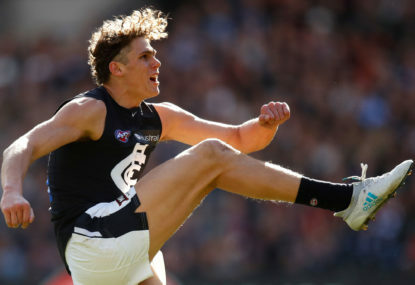 The teenager was awarded a rising star nomination for his performance against Richmond in Round 17, impressing many with his ability to stop his opponents with his marking and spoiling abilities. Taylor looks set to battle with teammate Aidan Corr for the second tall position in defence assisting co-captain Phil Davis. An incredibly popular teammate and one of the most professional players in the AFL, life as an athlete hasn’t come easy for original Giant Matt Buntine. A series of injuries, including an ACL tear in 2017, have restricted the 2011 No.5 draft selection to just 50 matches. In a positive for Buntine, the 25-year-old managed to break into the Giants’ line-up late last season and played in the club’s two finals, but given Heath Shaw’s return from injury and the development of Sam Taylor, it is hard to see Buntine being much more than a handy depth option. A restricted free agent at the end of 2019, another club looking for a third-tall defender might come knocking, or the Giants may be forced to make a tough decision if Buntine can’t get on the park more regularly. Former Magpie Lachie Keeffe will also be feeling nervous as he comes out of contract at the end of 2019, but, like Buntine, will be buoyed by the fact he appeared in the Giants’ finals campaign, albeit just for the semi-final against his former club. 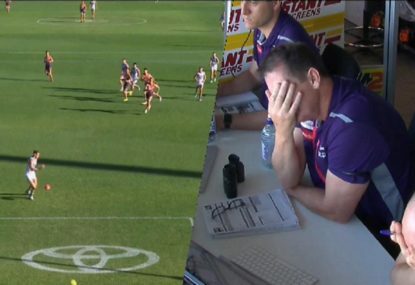 After another disappointing year on-field, Fremantle were forced to make some tough list decisions, resulting in the delisting of Tommy Sheridan after 81 games. One of the best endurance players in the league, Sheridan was signed by the Giants as a delisted free agent, where the former Docker will be hoping to emulate the path of his ex-Freo and current GWS teammate Matt de Boer. Boasting an array of selections in the first round of the national draft, the Giants boosted their inside midfield stocks with the recruitment of Bendigo Pioneers youngster Jye Caldwell at selection 11. Caldwell shows terrific desperation to win the ball and has great skills on both sides of his body when disposing of it. His skill by hand is also a key feature of his game, able to find the outlet player when he has his head down over the football. A few picks after Caldwell was taken, Jackson Hately joined him in wearing the charcoal and orange. At 190cm, the South Australian-born Hately is a big-bodied midfielder who is also capable of playing across half forward. A member of the U/18 All Australian side, Hately is one of the most ready-to-go prospects to come out of the 2018 draft, having played seniors for Central Districts in the SANFL. Watch for the youngster, who models his game on Scott Pendlebury, to have an impact in his first year. The Giants’ third and final first-round selection, Xavier O’Halloran, comes with terrific leadership qualities, having captained Vic Metro in the U/18 national championships. A terrific runner, O’Halloran possesses genuine pace and agility and will be competing with his fellow draftees for a spot in the midfield. Thanks to some clever live trading, the Giants were also able to secure West Australian speedster Ian Hill with selection 24. Similar to his cousins Stephen and Bradley at Fremantle, Hill looks set to dazzle onlookers with his incredible pace, having completed the 20m sprint in 2.82 seconds at the draft combine. Smaller than his cousins, Hill might need developing in the reserves before he is ready to compete at the AFL level. 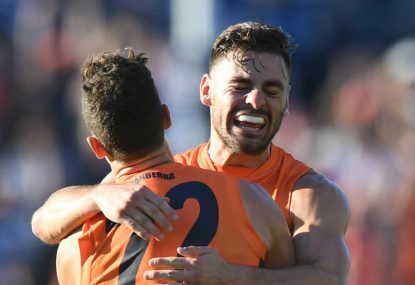 A genuine gun of the competition, Stephen Coniglio enjoyed the best season of his career so far in the Supercoach world, averaging 108.4 points per match. Capable of posting huge numbers, Coniglio is a great M3 or M4 option, and with the departure of Dylan Shiel, the 25-year-old looks set to find even more of the ball. A slightly riskier pick with potential massive upside is Toby Greene. After an injury-riddled 2018 campaign that yielded just nine matches, Greene will be hoping he can have much better luck this season. Expect Greene to be priced at about $400,000, which makes him a tantalising prospect. Given their top six finish, the Giants have received a tough draw under the AFL’s weighted fixturing system. As always, the Giants will play crosstown rivals Sydney twice, while they meet top eight sides Richmond and Hawthorn, as well as Essendon and Gold Coast, two times. 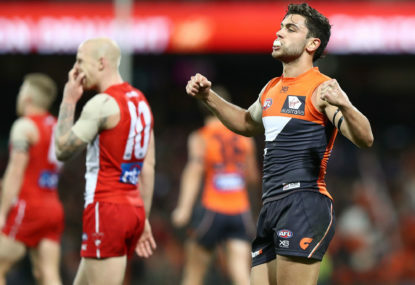 Greater Western Sydney will open their season with a blockbuster match against Essendon at Spotless Stadium, where they will face ex-Giant Dylan Shiel for the first time. Later in the season, the Bombers will host the Giants in a marquee Thursday fixture at Marvel Stadium, while in Round 21, GWS take on Hawthorn on a Friday night. As usual, Greater Western Sydney will split their home matches across Spotless Stadium in Sydney’s west and Manuka Oval in Canberra, while they play one game at the SCG. For the first time since 2014, the Giants will play three regular-season matches at the MCG, and one match each at Marvel Stadium and GMHBA Stadium for their other trips to Victoria. As they did last season, GWS will play twice at the Adelaide Oval, while they go to Perth, Gold Coast and Hobart once each. The Giants will travel to Melbourne to take on Hawthorn in Round 8, which will be their first encounter with the Hawks at the MCG since 2014. In their return match, GWS will host the Hawks at UNSW Canberra Oval for the first time ever. Speaking of Canberra, the Giants will take on St Kilda in the nation’s capital, which hasn’t happened since 2013. Expect a big crowd when Hawthorn, one of the biggest clubs in the AFL, comes to Canberra in Round 21 to play a match for the first time ever. The Giants and Hawks will clash in a Friday night blockbuster in the lead-up to the finals series, with both clubs expected to take part in September action. 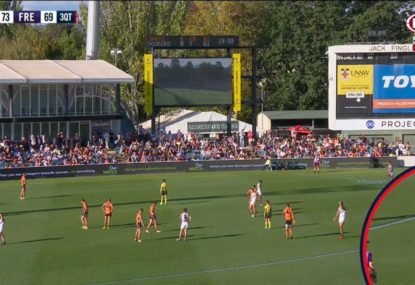 There’s every chance that this clash could have major implications on the top eight, meaning the Giants’ record crowd at Manuka Oval of just under 15,000 will be under threat. One of many teams to have struggled against Geelong in recent times, the Giants face a tough away assignment in Round 4 against the Cats at GMHBA Stadium. Part of a very difficult opening month, GWS will have to overcome a poor 1-1-7 record against Geelong since their inception in 2012, while Leon Cameron’s men have never tasted victory at Kardinia Park. 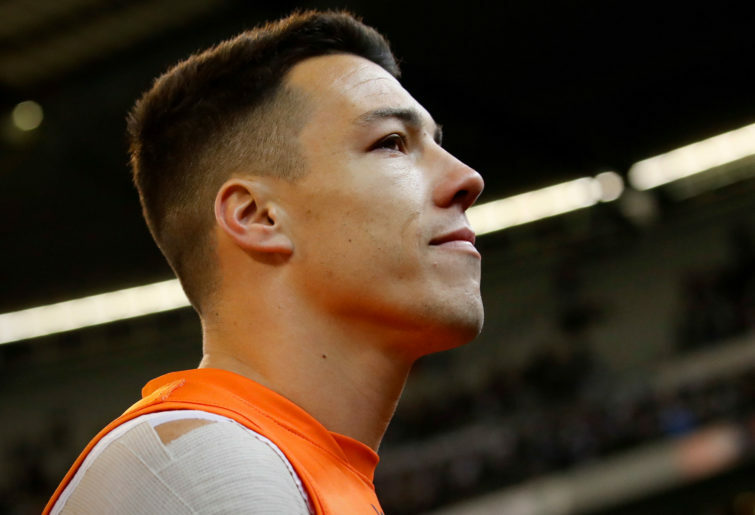 The talented list of the GWS Giants took a severe hit with the loss of Dylan Shiel, Rory Lobb and Tom Scully during the trade period. As a result, the Giants will need their current depth players, as well as the talented crop of youngsters they have drafted, to stand up and make an impact. 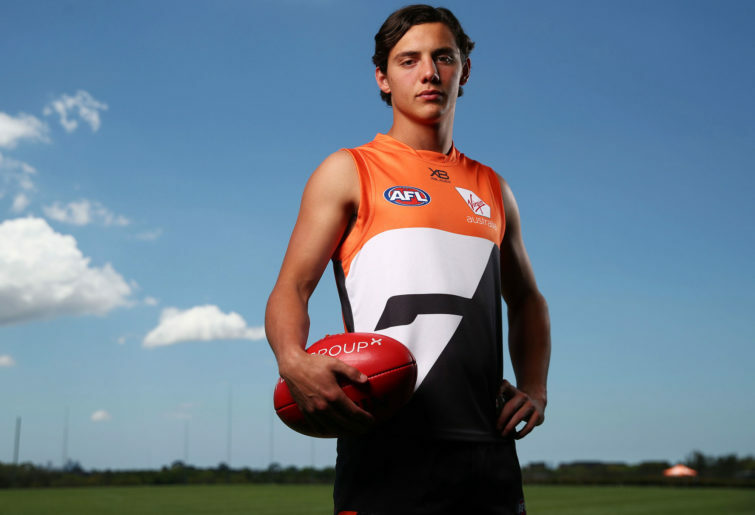 The top-end talent is still elite, highlighted by Josh Kelly, Phil Davis, Jeremy Cameron and Stephen Coniglio, but the likes of Harry Perryman, Adam Kennedy, Zac Langdon and Jacob Hopper will need to take their games up another notch to fill the gap. Securing the long-term signature of Kelly should be the Giants’ number one priority, and another serious crack at the flag would make the star midfielder think long and hard about making Greater Western Sydney the club he finishes his career at.